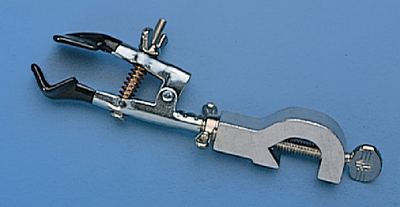 Ideal for holding small objects, this clamp has one flat jaw and one V-shaped jaw, and provides an opening of 5-35 mm. The jaws can be rotated 360° and locked at any angle. The clamp attaches quickly to standard support rods up to 13 mm in diameter.